Oct 11, 2012 | This post may contain affiliate links. Learn more. 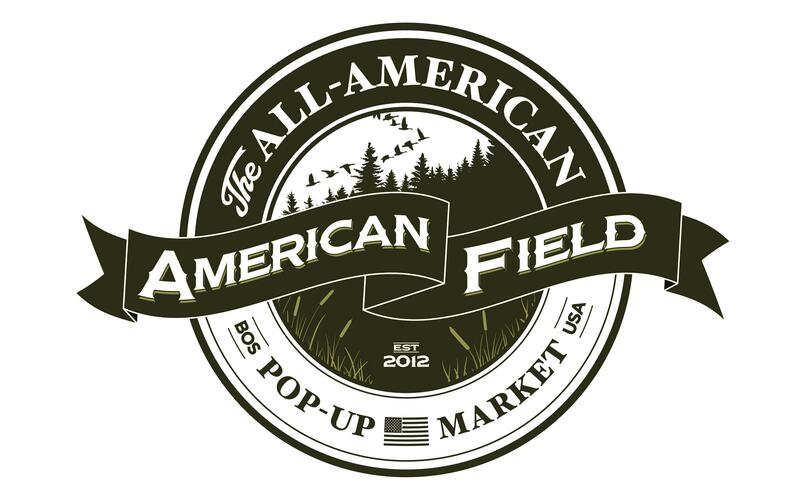 Earlier this week, Modern Fellows spoke with Mark Bollman, founder and President of Ball and Buck and the driving force behind the upcoming made in America pop-up market American Field debuting in Boston later this month. He gives a feel for what participants in the concept market can expect on October 20 and 21, and talks about his hopes for an emerging consumer movement centered around “a newer emphasis on buying high-quality products that happen to be made in the USA.” He suggests it’s not about reflexively buying American products out of a strict sense of patriotism, but putting some more thought into the quality, longevity, impact and overall value of the items we purchase — not unlike the mindset behind the organic and farm-to-table movements sweeping America’s food culture. What was your inspiration for American Field? The philosophy behind the event is to look at Made in America as a movement and to connect the brands that are doing their part for that movement. Boston is the epicenter for heritage brands and historically was a major manufacturing hub for textiles. It’s easy to get to and has all of these roots built into the area, yet there hasn’t been any kind of pop-up market culture like we are aiming for with American Field. We thought, let’s take the history and create an event in downtown Boston for customers who can connect with the people behind these emerging brands and culture. Tell me a little about how the event will unfold. What should attendees expect? There are going to be more than 30 made in the USA companies under one large indoor-outdoor old vintage power station. We’re going to have master cobblers from Rancourt. Randolph Engineering is going to be laser-engraving frames on site. A barber will be doing hot towel shaves all weekend. Combine that with a whole line up of bands. There will be music going all day, plus 16 food trucks on Sunday [October 21]. We are now trying to line up additional food trucks for Saturday. We are going to please your mind, your ears, your eyes, and your hands as you touch the products. You are going to get a full sensory American experience. What do you hope participants and the broader community take away from the effort? You often hear a lot of misinformation about American manufacturing. People may think their Levi’s jeans are made in America when they’re not. Others think that you can’t find anything made here anymore. And then there’s a more antiquated notion of “buy American” to support your country. What we’re trying to convey is a newer emphasis on buying high-quality products that happen to be made in the USA. There is a shift in how made in the USA is perceived. We want people to be able to learn, touch and understand this new culture. How accessible and economically viable is American-made clothing? The success of the made in America movement can be correlated with the success of the U.S. economy and an evolution in consumer behavior. Everyone has been trained to consume-for-the-sake-of-consuming. There’s this mass flood of low quality products that don’t last a long time and don’t have a lot of quality put into it, but have a low price tag. What you have now are people who are making purchase decisions on a whim. The problem is that the quality can be so much lower for disposable fashion and the impacts of these purchase decisions last infinitely longer than the time it takes to swipe that credit card. [With this new made in America movement,] you have these early adopters who see beyond that low price tag and low quality and waste and oil and shipping costs. The idea is to be able to say that I’m not just purchasing something because I want it right now, but because it fits into a strategy of having something that is essential, well-considered and that will last a long time. Would you like to replicate the American Field experience elsewhere? I think American Field would be as comfortable in New York or Atlanta or San Francisco as it is in Boston. It fits in any city that appreciates the notion of making purchase decisions that have positive impacts. To me, it’s great to connect like-minded companies who see the world the same way and put them in the same place. You get a feel for different companies with similar principles. It’s one thing to read a Wall Street Journal article and hear good things about American manufacturing. It’s another thing to see all of these people in one place under a huge roof for yourself. It brings home the idea that this is a consumer movement, which is similar to the organic food movement. There are people who want to understand more about the impact that their purchases have on the broader community. My name is Jack Foster, Director of Marketing and Sales for Sterlingwear of Boston. I have read your article and thank you for helping to spread the word and share the knowledge and important message of Made-In-America products. We are very proud of the fact that we have been producing apparel right here in Massachusetts for 45 years employing over 350 people. Sterlingwear of Boston exemplifies the legacy, heritage, products and story line that this type of event is promoting. We are happy to be part of the celebration and to showcase our products at this event. If you would like to know more about Sterlingwear of Boston please feel free to contact me at 617-567-6465 or via e-mail at jfoster@sterlingwear.com.